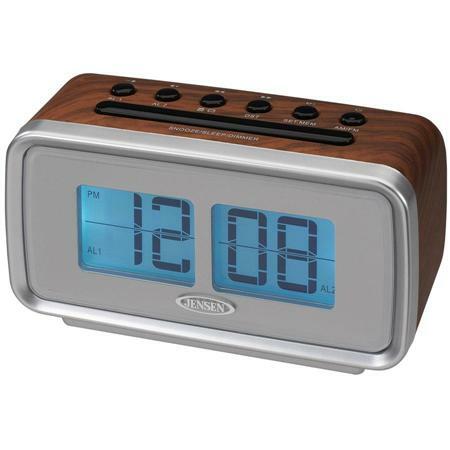 This retro style alarm clock brings you back in time when every minute would flip away. This clock has been modernized with a very simple look and yet the silver front display with blue backlit display brings the modern look of today. The display is electric and gives the same illusion of the flip style design. Also has an AM/FM radio included.